The continuation of our colour unit brought us compliments, dots, swatches, and tinted shades. It was certainly a colourful week! For the lower primary this week I began the unit by introducing the concept of complimentary colour schemes. To practice this, we used coffee filters and coloured marker pens. As I pointed to a colour on the colour wheel, the students had to grab a pen of the corresponding complimentary colour and draw a big juicy dot on their coffee filter. This allowed me to test their basic comprehension of colours and their complements. 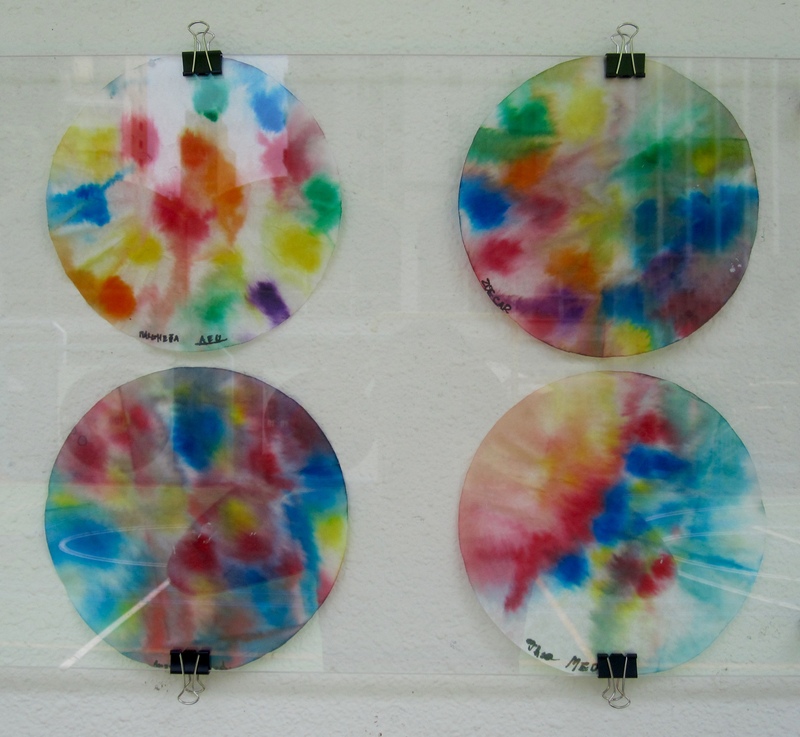 Once the coffee filter was crowded with colour, we turned it into a kaleidoscope by spraying it with water. The colours spread and bleed, and in turn, made new colours! 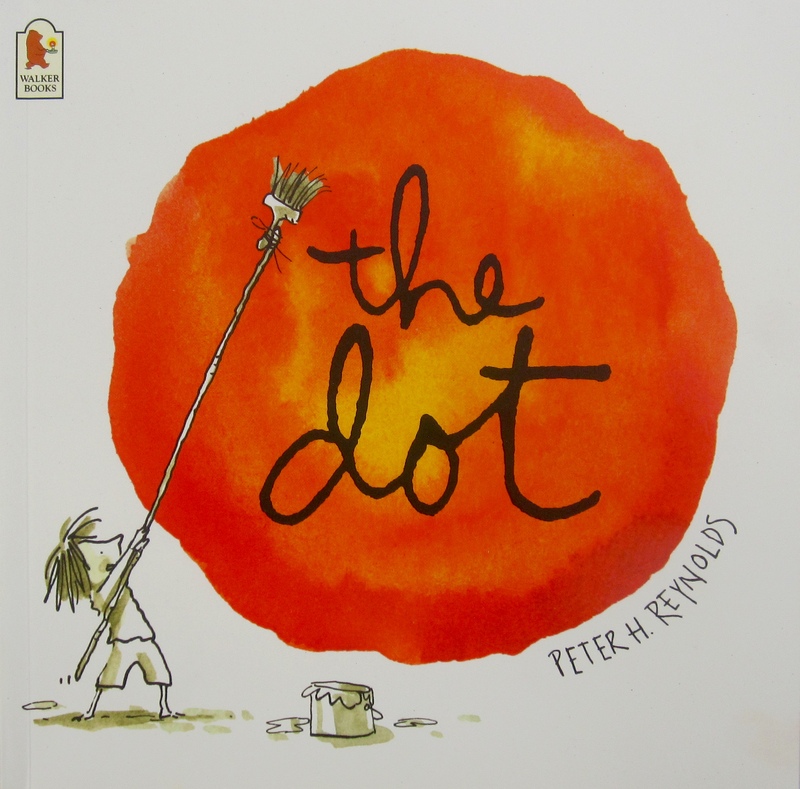 I wrapped up by reading The Dot, by Peter Reynolds. I found the connection between the colourful dots on the circular coffee filter and the flagrant use of the letter ‘c’ clever, but I think it flew right over the kids’ heads. Then for upper primary, students focused more on mixing colours and I challenged them to make as many different colours as possible using just the primary colours plus black and white. 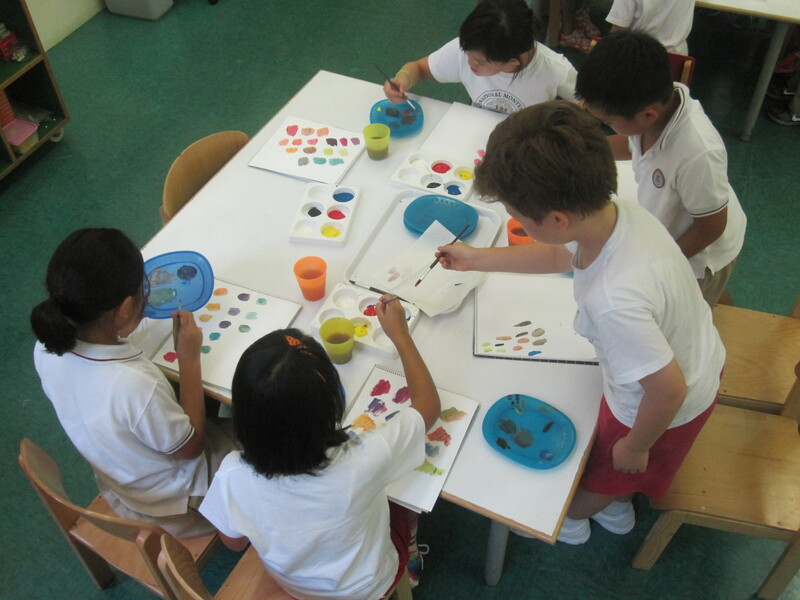 After their own exploration, I introduced tints and shades and demonstrated how to create them. 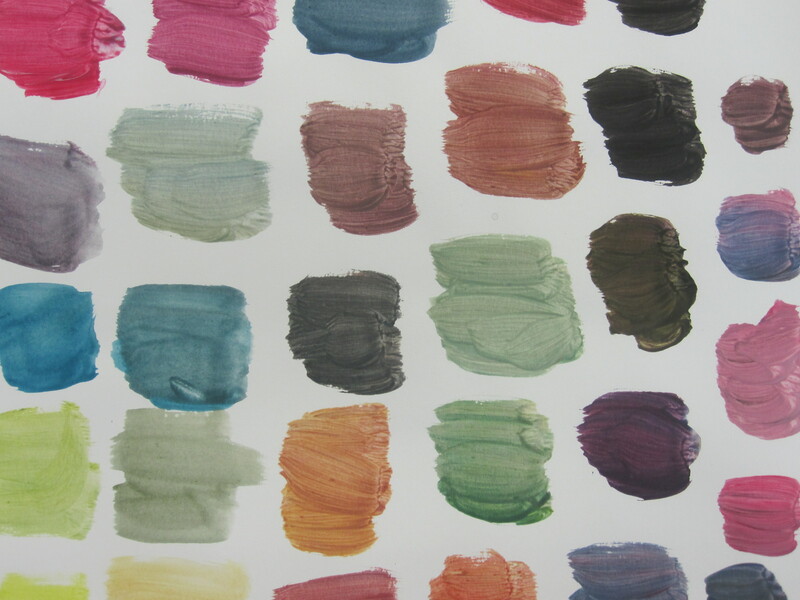 The students had a go and picked their favourite colour creation from their mixing practice and made a colour swatch. These lessons are great examples of process over product. 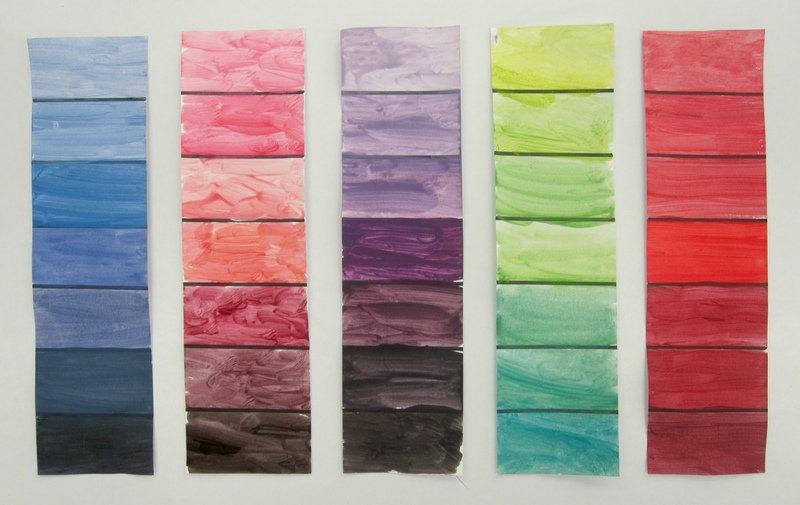 Students had the freedom to test, try and experiment with colour which was the objective of the lesson, yet the result was something beautiful.